New Delhi, July 21 (IANS) An unknown person returned a painting by eminent artist Jatin Das which was a part of Air India’s collection, sources said on Friday. According to sources, the painting was returned to the airline via a courier addressed to Air India’s Chairman and Managing Director Ashwani Lohani around two weeks back. “We received a courier around two weeks back. It was addressed to the CMD. 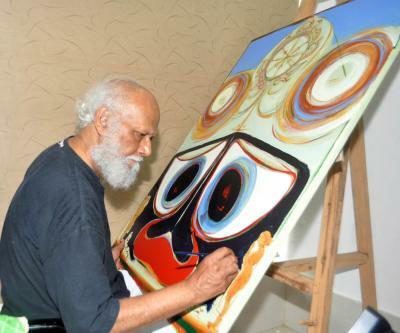 The package contained the missing painting by Jatin Das,” an airline source told IANS. The source revealed that an extensive investigation is underway and suspected former officials of the airline are being questioned. On July 6, Air India said that it has initiated an inquiry to verify allegation about theft of paintings from its vast collection. The investigation was initiated after eminent artist had written to Lohani to inform him about the missing painting which was available on the black market. “Jatin Das has recently written a letter (June 24) to the CMD (Air India) asking for photographs and details of the paintings in our collection that were made by him,” the airline had said in a statement on July 6.